It’s been such a long time since I’ve posted any nail art. I’ve had no motivation to do it lately, but I’ve grown my nails back to a long enough length that I think nail art looks best! I’m hoping I don’t jinx myself for saying how long my nails are.. last time I did that, they broke! I’m always seeing smoosh nails all over instagram and always forget to do them myself. I really like the look of them, so I’m hoping this time around, I don’t forget about how easy and awesome they turn out! I started by painting all my nails 2 coats of Beyond the Nail – Dusty Rose. I grabbed a big nail stamper, and put dots of Beyond the Nail – Bright White & Dusty Rose on it, and then stamped it all over my ring finger. I smooshed it around until I was satisfied with the look. 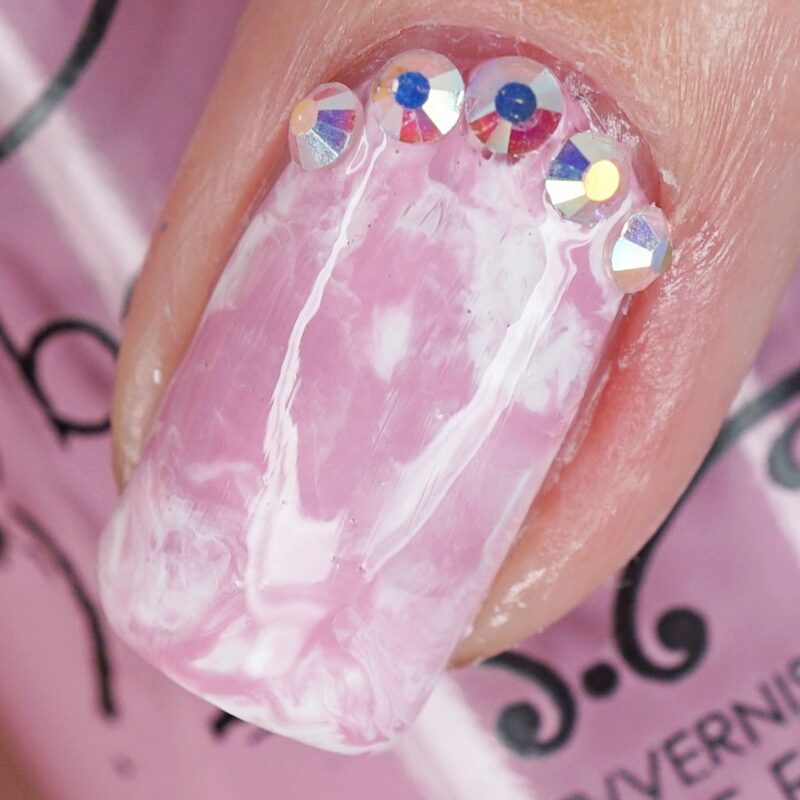 I did the same for my ring finger, but placed a Line Nail Guide down the centre of my nail and only applied the smooshed polished on half my nail. I applied one coat of OPI – Start to Finish to all my nails and stuck on some rhinestones to my index and ring finger. 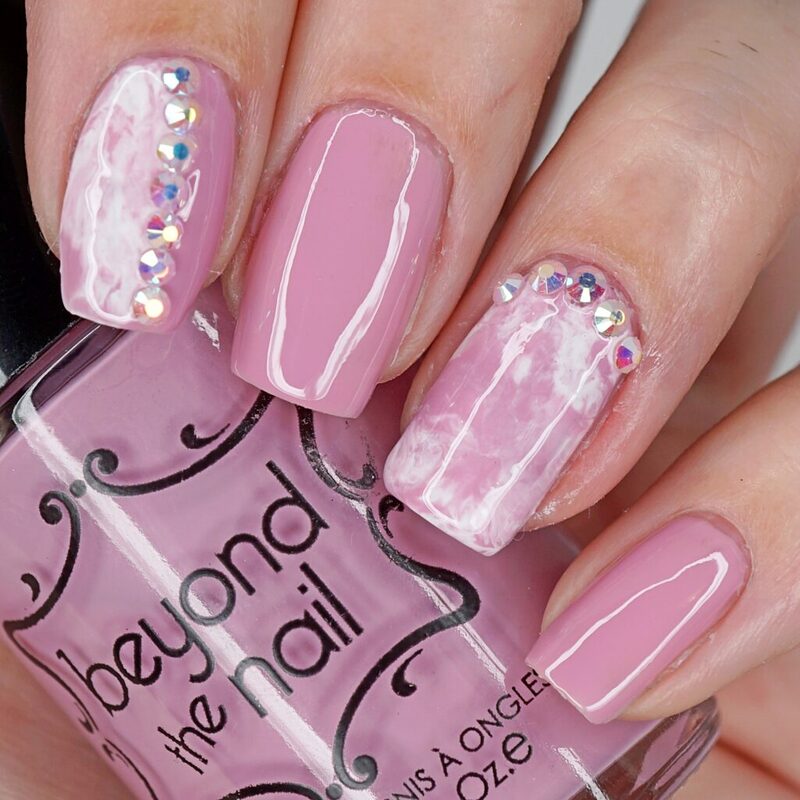 What do you think of these Dusty Rose Smoosh Nails? ?